Why have we spent hundreds of thousands of dollars on our boat? Thousands on the best tackle and gear? And thousands of hours out at sea chasing these sea creatures. Simply put, Tuna are awesome! From the epic fight to the high quality sushi grade meat, the quest for Yellowfin tuna is absolutely a thrill. 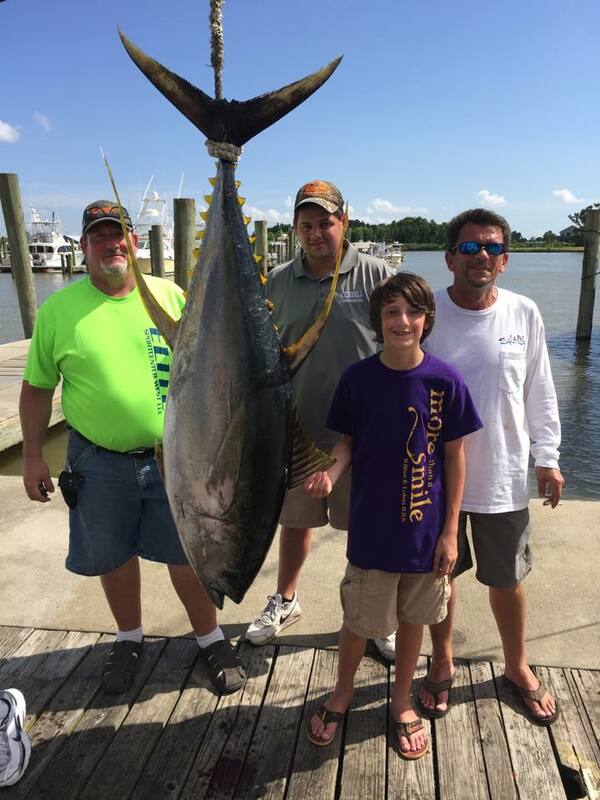 Venice Louisiana, is one of the top destinations in the world for Yellowfin and we target them year round. Our customers fly in from all over the country and many drive over 10 hours just to have a shot at these amazing fish. While many of trips yield multiple fish, our clients are usually spent after the first couple fish as they can scream drag on size 50 tackle. Recently we have been seeing some bigger fish and our fall fishing season is just around the corner with fish pushing 200 pounds a realistic shot every day. 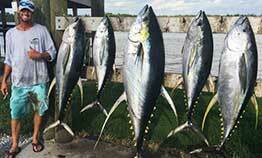 So why Yellowfin Tuna? One look at this picture and I think you will understand.